AFC Mansfield (in yellow) in action at Pontefract Collieries earlier this season. 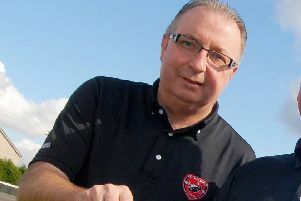 AFC Mansfield will be relegated at the end of the season after failing to meet ground grading requirements. Promoted from the NCEL Premier Division last season, the Bulls currently lie 16th in Evo-Stik Division One East, nine points above the relegation places. 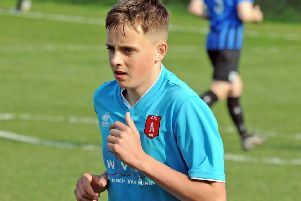 However, they will now fill one of those places irrespective of their final league position, after announcing that they had failed to meet a deadline with regard to ensuring their Forest Town Arena home meets step four ground grading criteria. A club statement said: "The club are saddened to announce that AFC Mansfield will be relegated from the Evo-Stik Northern Premier League at the end of the 2018/19 season. "The club failed to meet ground grading requirements by the March 31 deadline, and consequently have been placed into a relegation position. "In light of these events, the club has written to the Football Association requesting to be placed at step five of the National League System. "A further statement concerning the club's relegation will be released in due course." Relegation will most likely see AFC Mansfield drop back into the NCEL Premier Division next season.